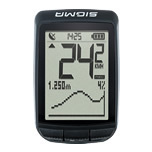 The PURE GPS is your entry into the world of GPS-based bike computers! Here, the simplest operation meets the latest technology. 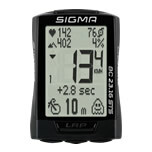 In addition to the most important bike functions, the large display also shows the altitude functions, including the graphical altitude profile, in a clearly legible manner. A simple compass navigation always shows the direction to the starting point or a point selected by you. Thanks to GPS, you can then evaluate the completed distance in the DATA CENTER or the SIGMA LINK app and, if desired, share it with your community. Your PURE GPS is mounted quickly and does not need any additional sensors on the wheel. "Plug and Ride" is the motto. Because, you want to overcome obstacles on the track and not on the bike computer! 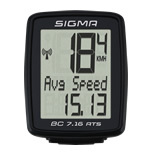 In addition to the basic cycling functions, the BC7.16 ATS also calculates average speed and keeps track of total accumulated ride time. The large screen and its sleek design will look great on any bike. Available as both a wired or ATS wireless computer. We all know that riding a bike is one of the best ways to get in shape! 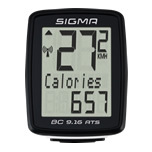 The BC 9.16 ATS’s speed based calorie counter will keep track of your progress towards reaching your fitness goals. The BC 14.16 STS is the perfect computer for attacking the hills. 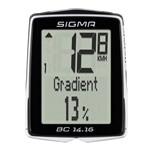 Enhanced altitude measuring functions include an altitude profile graph and current gradient. 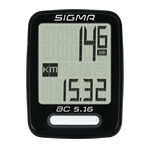 Using NFC technology and the free SIGMA LINK app, the BC14.16 STS can communicate with Android smartphones to program and download ride data. 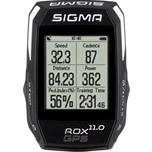 Available in a wired, an STS wireless and an STS double wireless version (wireless speed and cadence). The BC 16.16 STS provides crucial information for avid cyclists and commuters! The new ETA (estimated time of arrival) function continuously calculates how much time and distance remains until you reach your destination. Plus every kilometre/mile ridden is converted into fuel savings. 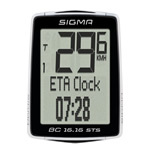 The STS variant is also available with optional cadence transmitter. Using the NFC technology the Android smartphone can communicate with the computer, on which the free SIGMA LINK app has been installed beforehand. Previously saved rides can be converted into an opponent for a “ghost race” with the SIGMA DATA CENTER. 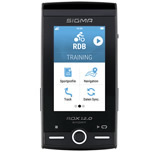 And NFC technology allows the BC23.16 STS to communicate with Android smartphones and the SIGMA LINK app. The PURE 1 ATS is a purist amongst all bicycle computers. 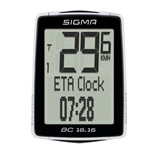 In one easy to read display, it answers the three most important cycling questions: How fast? How far? How long? And it does so in a very compact and attractive design. The BC 7.16 is available in both a wired and a wireless ATS version. 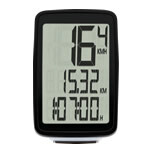 In addition to the basic cycling functions, it also displays the total ride time and the average speed. A large display packed into a sporty design makes it an essential companion for every ride. We all know that riding a bike is one of the best ways to get in shape! 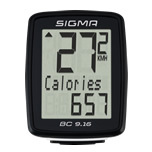 The BC 9.16’s speed based calorie counter will keep track of your progress towards reaching your fitness goals. Using NFC technology and the free SIGMA LINK app, the BC14.16 can communicate with Android smartphones to program and download ride data. Also available in an STS wireless and STS double wireless version (wireless speed and cadence). Using NFC technology and the free SIGMA LINK app, the BC16.16 can communicate with Android smartphones to program and download ride data. 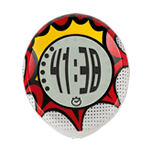 The PURE 1 is a purist amongst all bicycle computers. 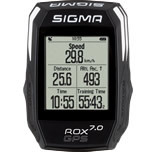 In one easy to read display, it answers the three most important cycling questions: How fast? How far? How long? And it does so in a very compact and attractive design.